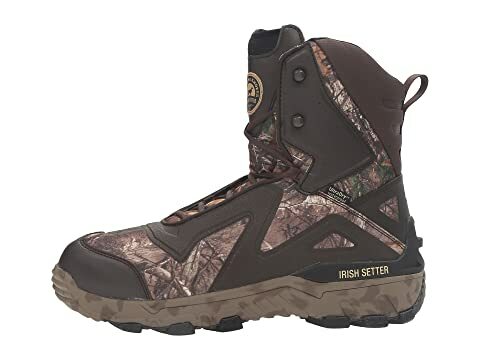 The Irish Setter™ VaprTrek LS 8" RT XT 1200G WP boot has a lightweight yet durable construction with superior insulation and breathability, allowing you to keep you comfortable on your outdoor adventures. 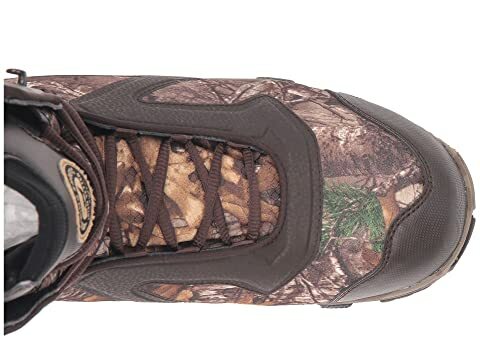 Features Realtree Xtra® camo design that works in any hunting situation with depth and lifelike images. UltraDry™ technology features a moisture-management lining with waterproof components for dry, long-lasting comfort and performance. 1200g PrimaLoft® Gold insulation is designed for repeated compression and durability over time, which maintains loft and traps body heat when compressed. 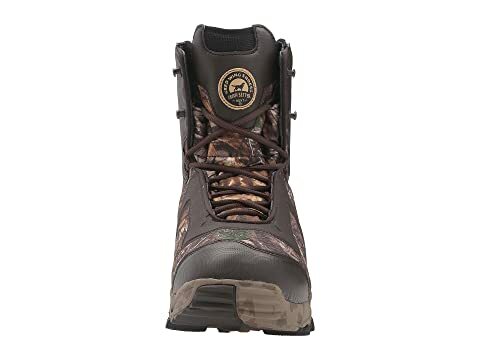 It features 90% post-consumer recycled fibers made from plastic bottles, and is coupled with a permanent water repellent treatment with high-density construction, allowing the insulation to keep feet warm in dry or wet conditions. Moisture-wicking airmesh nylon for a comfortable, breathable foot environment. ScentBan™ is a silver-ion technology that is imbedded in the uppers, lining, and footbeds to kill odor-causing bacteria. 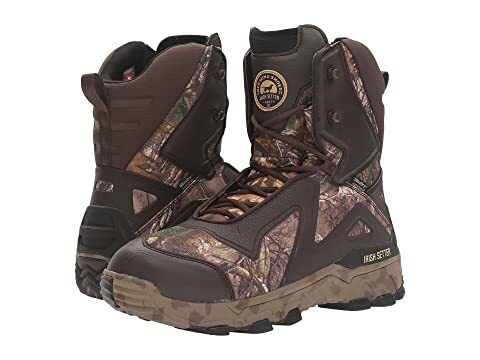 RPM™ technology significantly reduces the weight of the boot, making them 40% lighter than traditional game boots. 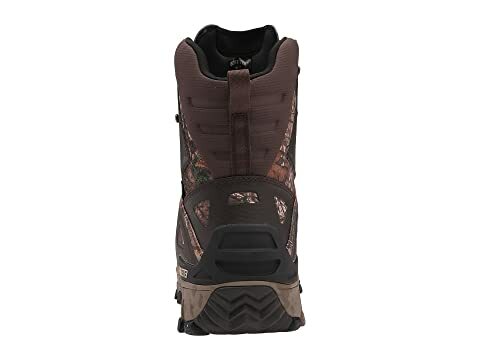 Armtec™ adds durability and life to your boots by using armored leathers in the toe and heel to prevent material breakdowns. 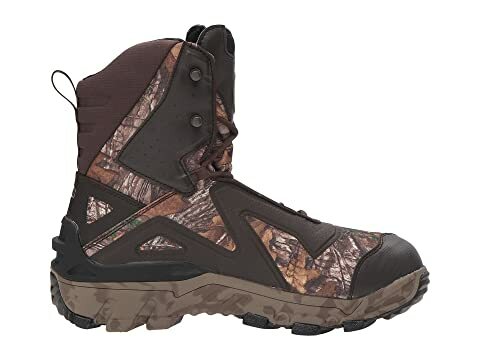 Removable comfort cork EVA footbed with memory foam for underfoot comfort and ScentBan™ Odor Inhibitor for a fresher foot environment. Non-metallic shank for added stability. 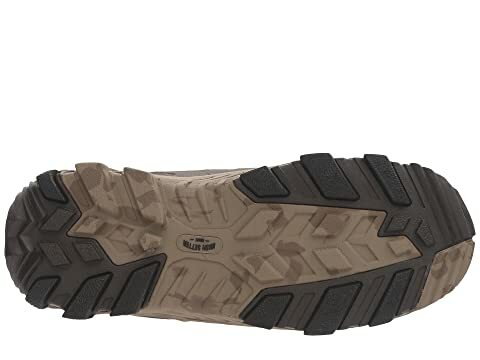 Durable RPM-LS rubber outsole with lugged pattern for excellent grip and traction.